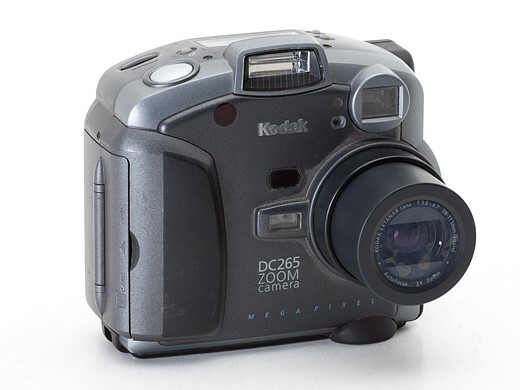 When you think of unique cameras, the Kodak DC265 (announced in 1999 for $899) probably doesn’t come to mind. The first thing you probably notice is its unusual shape and ‘foot’ to keep it from tipping over. But what really made it unique is that it ran Flashpoint’s Digita OS, which was fully scriptable (the company and OS did not last long.) In other words, developers could add new features by writing some code and putting it onto a memory card. Several Kodak models at the time supported Digita, as did those from HP, Konica Minolta and Epson. Before we get to that, here’s a quick overview of the DC265. It had an F3.0-4.7, 38-115mm equivalent lens, which is so loud when it’s extending that it made my coworkers in other cubicles wonder what on earth was going on. 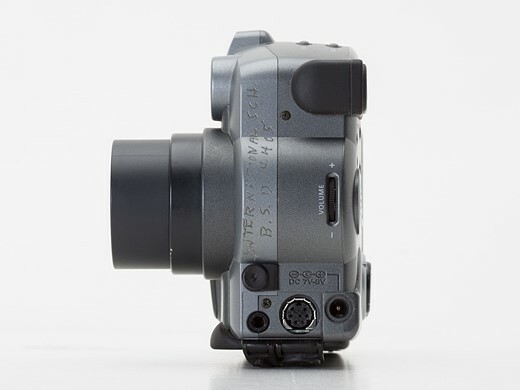 It had a whopping 1.6 Megapixel CCD, an external autofocus sensor (that we think involves infrared light) and an optical viewfinder that isn’t nearly as large as it appears from this view. While the DC265 had a ‘regular’ menu system (more on that in a minute), you could also use the LCD info display and a pair of buttons to quickly adjust settings. 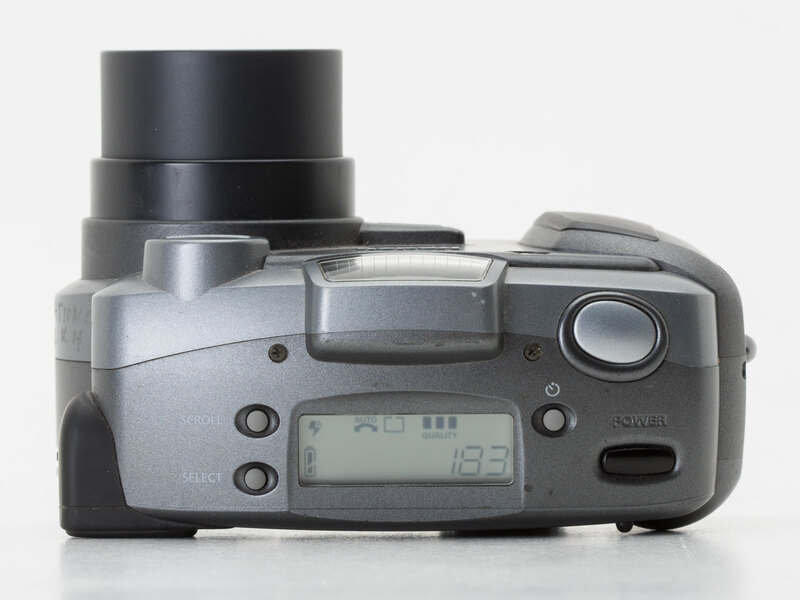 In 1999 this was a pretty advanced camera, offering burst shooting (at a whopping 3 fps, with live view disabled), time lapse and manual focus. It takes the camera and absurd amount of time to save a burst of photos to its memory card; we’re talking like 90 seconds. While it looks like the DC265 doesn’t have much of a grip, it’s actually quite comfortable in the hand. The thumb rest is on the lower-right side of the back panel and works in conjunction with the ‘foot’ shown earlier, making this unusually shaped camera easy to hang on to. The DC265 was loaded with I/O ports. You’ve got your 8-pin Mini-DIN port for connecting to a Mac or PC, A/V out and DC-in. And what’s hiding under that last port? A flash sync port! There’s a dedicated volume button, a feature which didn’t really catch on. You can see that the previous owners – a school in Bellevue, WA – etched their name onto the side of the camera for all eternity. The DC265 had two doors on its right side. One holds 4 AA batteries, while the other is where you’ll put that CompactFlash card. I had to dig through my collection of ancient memory cards to find one that the camera could read (96MB in this case). The battery life on the DC265 is terrible, which is why NiMH rechargeables were so popular in those days. There are lots of exciting things on the back of the camera which, as you can see, has had a rough life. You’ve got a tiny viewfinder, a mic and speaker, that nice rear thumb rest, plus the zoom controller at the top right. And that leads us to the Kodak DC265’s pièce de résistance: Digita. 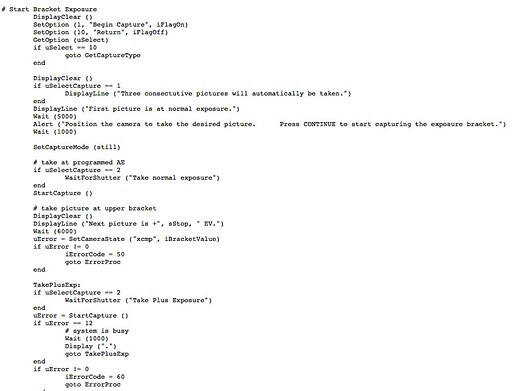 This scripting language, developed by the now-defunct Flashpoint, was easy for anyone with basic programming experience to learn. 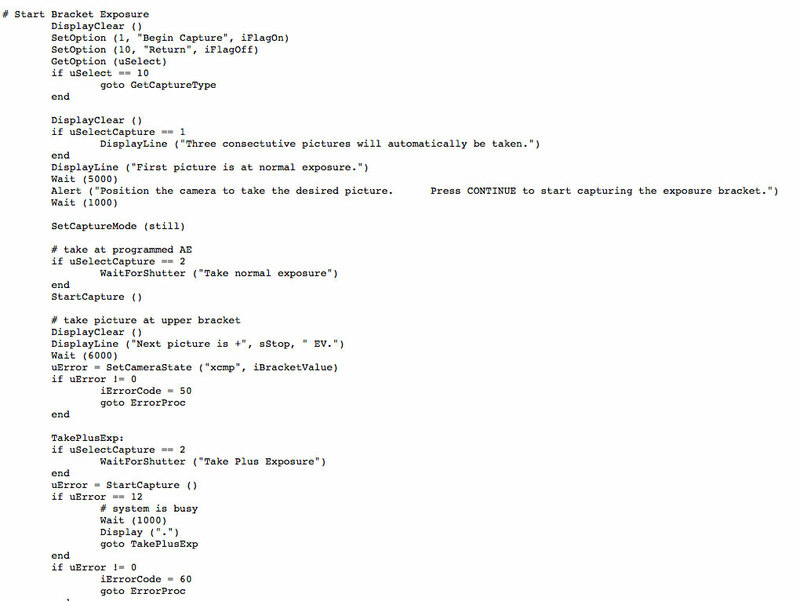 Kodak itself offered several scripts for Digita, including one for bracketing that you can see parts of above. There was also a pretty large home-brew community at the time, with scripts that could generate HTML galleries, have finer control over shutter speed or just play Tic Tac Toe. Scripting got more powerful on later DC-series models (notably the DC290), with the ability to create panoramas or embed GPS data. And while it couldn’t run Crysis, the DC290 could play Doom. As you probably know by now, Digita didn’t take off. But for a brief moment in time, it let photographers add features to cameras themselves, rather than waiting for the next model to come out. 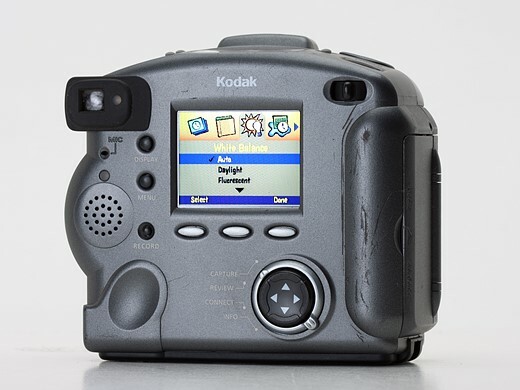 Kodak deserves a lot of credit for bringing something new to digital photography, whether it was the unique design of the DC265 (and its successor, the DC290) or putting users in control over camera features with Digita. 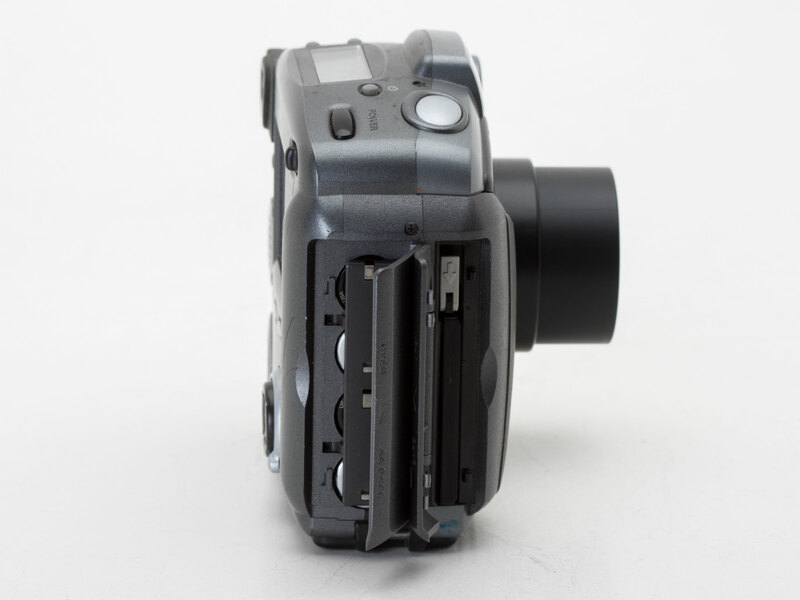 For more on the Kodak DC265, check out Phil Askey’s review here on DPR.